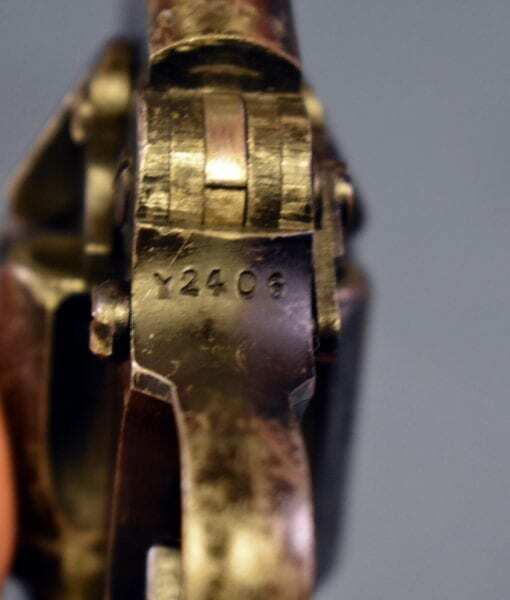 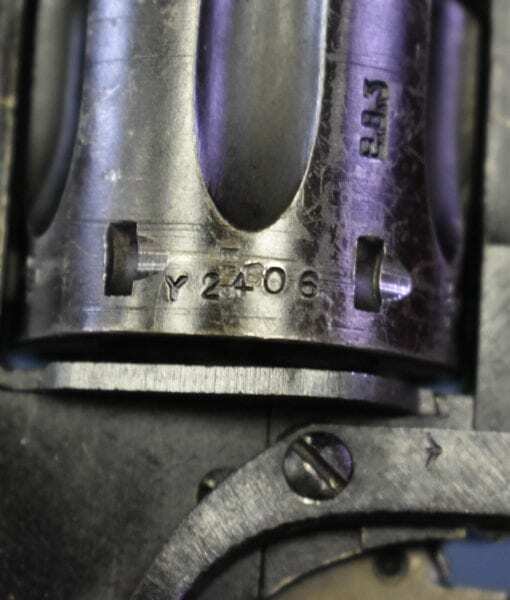 In 95% condition, we have a solid example of a British WW2 1943 Dated Enfield No.2 MkI∗∗ Service Revolver. 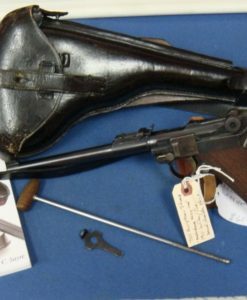 This is very nice all matching example of Enfield Production during the middle of the war when the buildup for the Invasion was in full swing. 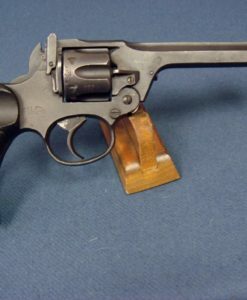 This was a well designed but very basic self defense sidearm for people with only the most rudimentary skill in handling a firearm. 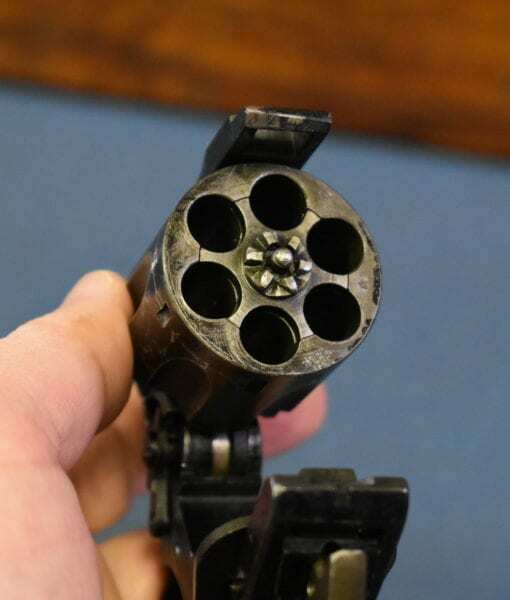 It is adequate for close range personal defense but not the sort of thing you would be carrying on a commando raid. 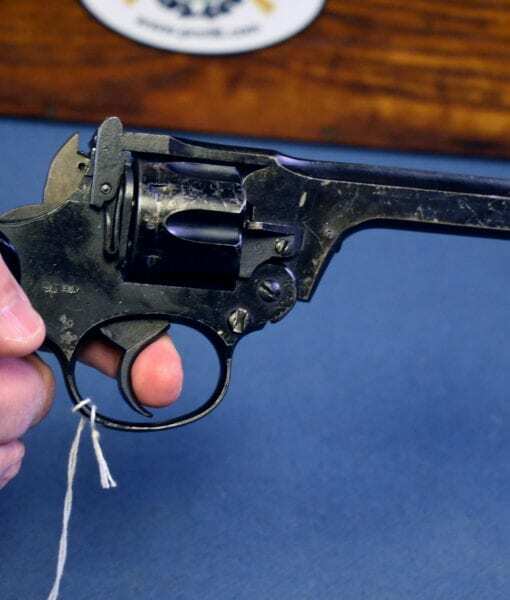 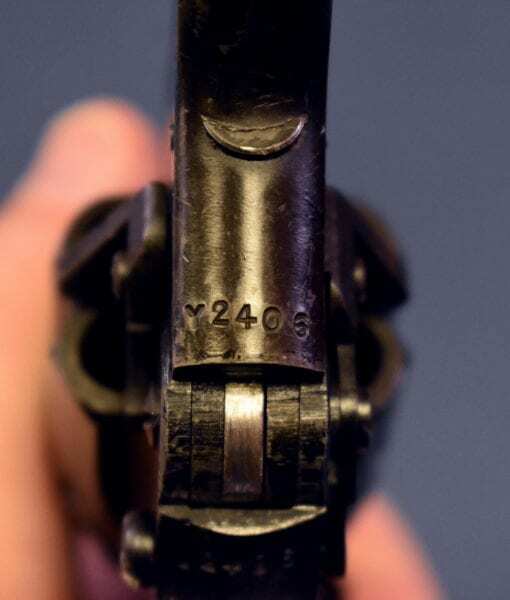 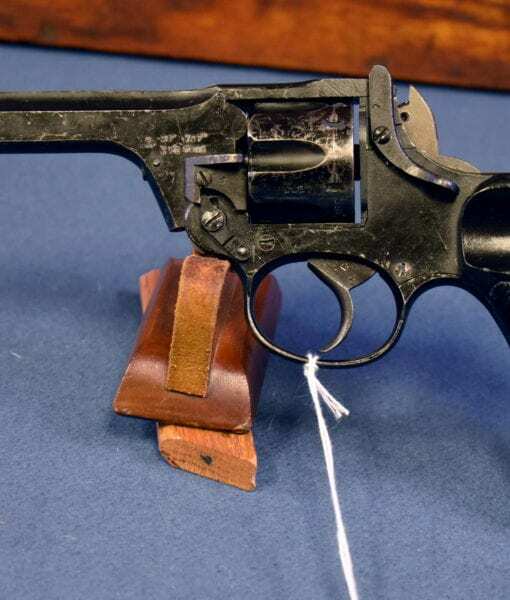 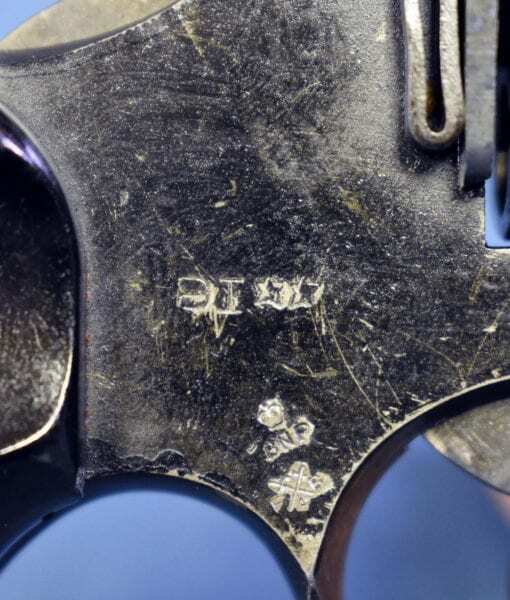 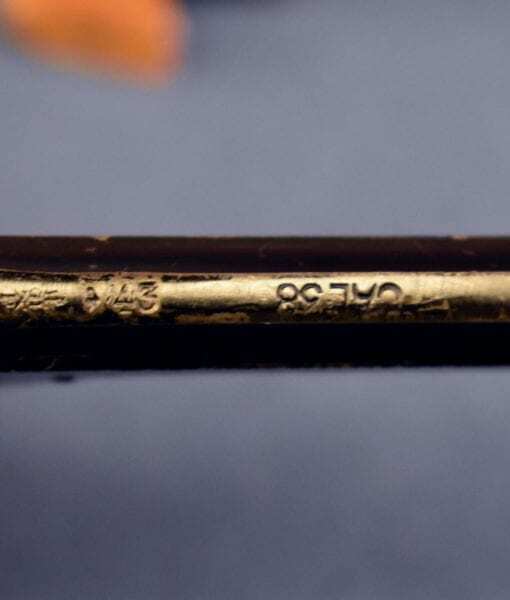 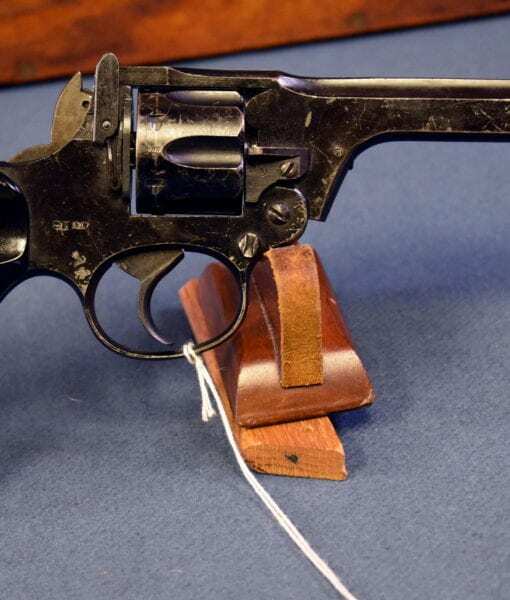 During the war, .38 inch revolver ammunition was in very short supply so it was a quite common practice to carry these things loaded with 9mm Luger which they will chamber, but it is certainly a desperate and dangerous thing that was done only in a wartime emergency situation. 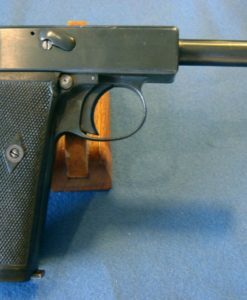 If you are collecting British or Commonwealth service arms of WW2 this certainly is one of the most well known and must have weapons to own.